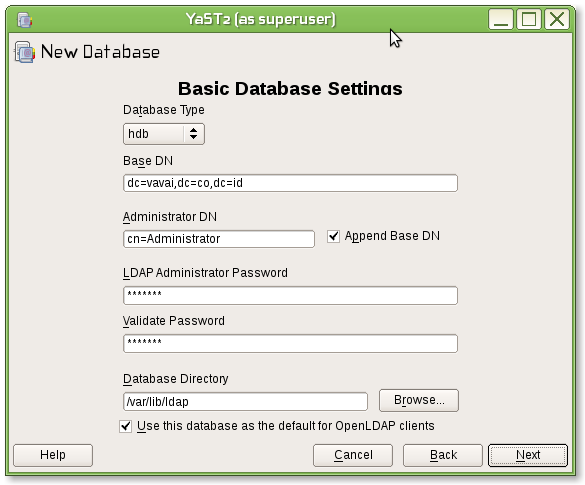 I have written Samba PDC+OpenLDAP tutorial on openSUSE on previous article but the tutorial are based on manual configuration and need too many steps to make it usable. 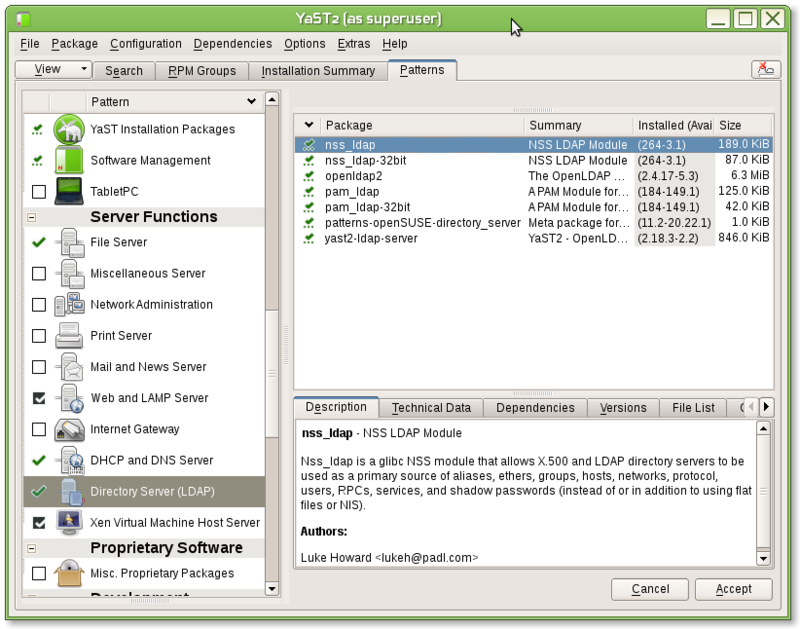 Now, I want to share how to make Samba PDC+OpenLDAP on openSUSE or SLES with automatic configuration using the YAST way 🙂 . The tutorial should be easy to understand and and need a few step to make it ready for testing. 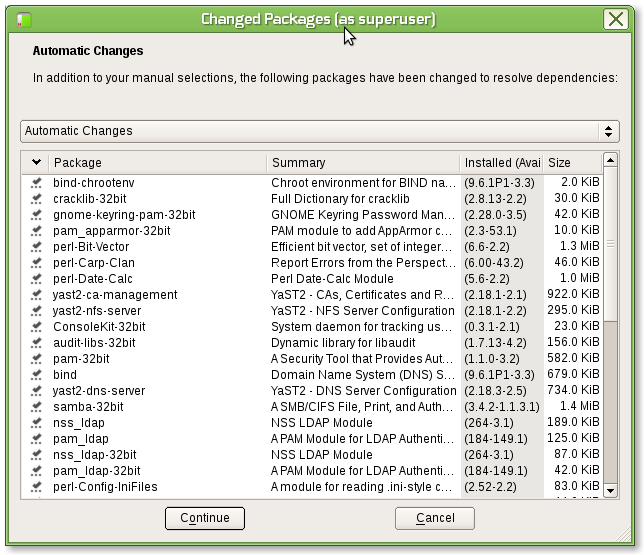 Install openSUSE 11.2 with or without GUI, choose which one suitable for your purpose. I’m using a GUI example because this tutorial intended for student 🙂 . a Minimal server selection (text mode) maybe a better option for production server. 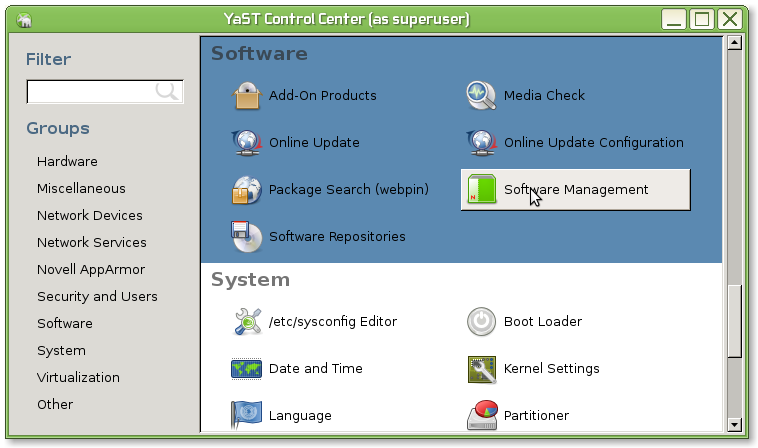 Please refer to openSUSE 11.2 installation guide if you need an assistance regarding openSUSE installation. Click Enable TLS and then create TLS Certificate by using Launch CA Management Module button and follow the wizard. Leave it unchecked if you wish to use LDAP without TLS connection. 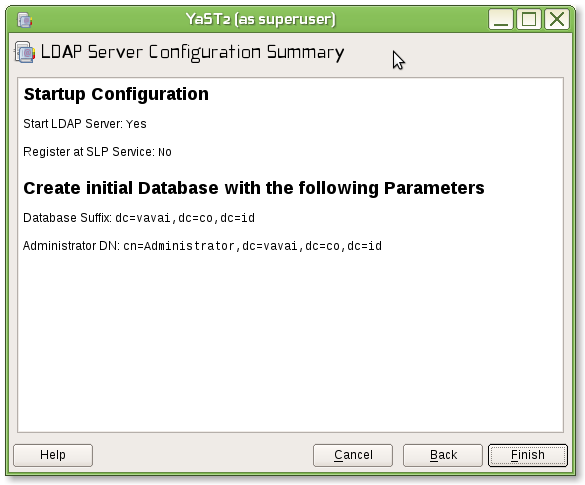 Also, leave a check mark onÂ  "Use this database as the default for OpenLDAP"
Click Next if all setting has been completed. I’ve a question: launching CA Manager and following this guide to create Server Common Certificate (http://www.novell.com/support/php/search.do?cmd=displayKC&docType=kc&externalId=7006024), it doesn’t let me to click on “Use Common Server Certificate” , that’s not right, isn’t it?